When you start the Pokemon Go game for the first time, you will get an opportunity to pick a starting Pokemon. You will be provided with the three Pokemon to capture Charmander, Squirtle and Bulbasaur. But after capturing one of these three Pokemon, it will be very difficult to evolve and level up these Pokemon. In Pokemon Go Candy For Starter Pokemon guide we will tell you that how you can get Candy for your starter Pokemon to level up and evolve it to its higher forms. You can use your starter Pokemon in gym battles if you evolve him to higher forms. If you want to evolve and level up your Pokemon you need candies, read our Pokemon Go Evolve and Level Up Pokemon guide for more information. In this guide we will be taking about how to get lots of candies to evolve your starter Pokemon. So for instance, if you want evolve Charmander, you will need Charmeleon, Charizard or Charmander Pokemon that belongs to the same tree. Charmeleon, Charizard or Charmander will provide you Charmander Candy that will help you level up and evolve every Pokemon in that same tree. 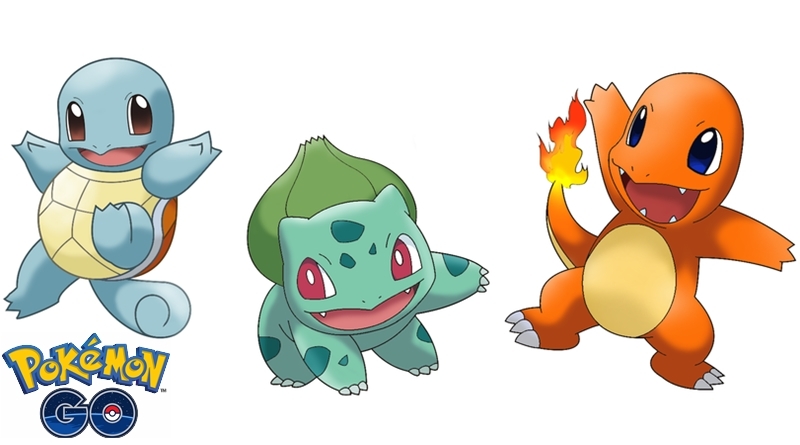 You can find these three starter Pokemon (Charmander, Squirtle and Bulbasaur) in the wild but it is really tough. So the only method that we have is getting candy for the starter Pokemon by hatching eggs. If you know where you can find Pokemon eggs then the next question is to have Charmander, Squirtle and Bulbasaur in those eggs. You will find three types of eggs in Pokemon Go 2K, 5K, and 10K Pokemon eggs. Each type of egg can hatch different Pokemon and require you to travel certain distance to hatch. Luckily, the Pokemon eggs that contain these starter Pokemon are pretty easy to hatch. They fall under 2K egg category and you only need to travel 2 Kilometer to hatch this type of eggs. Read our Pokemon Go Egg Hatch Guide for more information. But Remember one thing that there are other Pokemon in this 2K egg category so you may get other Pokemon too. If you have any other method to get lots of candies for starter Pokemon please feel free to share in the comments below!